Lewis Kappes hosted the IU McKinney Hall Center for Law and Health Mentor Board this morning for their monthly meeting. The purpose of the Hall Center Mentor Board is to provide mentorship and networking opportunities to current health law students at McKinney by connecting students with health law and healthcare professionals to foster lasting mentor/mentee relationships. 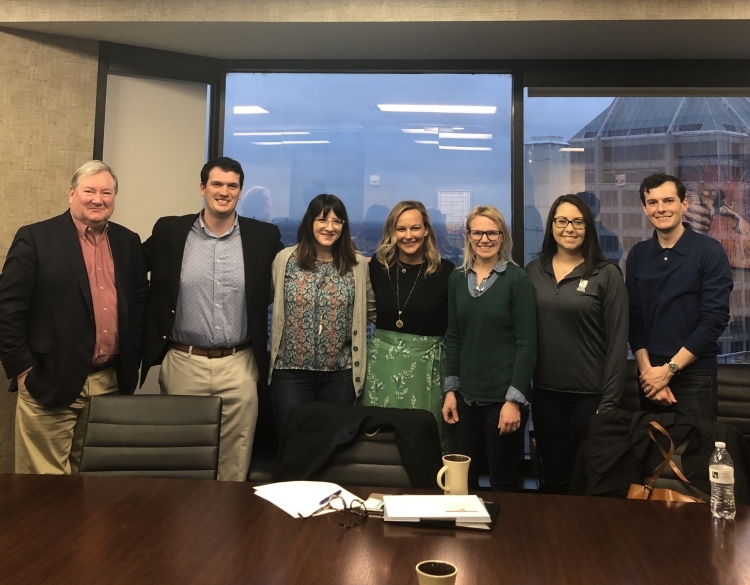 The Hall Center Mentor Board meets monthly to go through upcoming events and panel discussions and to deliberate over ways to help the law school and continue helping the law students. For more information regarding the Hall Center Mentor Board, contact Alessa Quinones-Ortiz.